Flirty Aprons is offering 15% Off Plus Free Shipping with code CUPID at checkout. 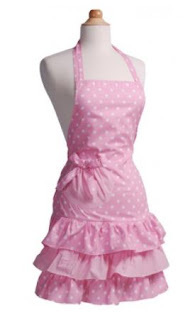 This Marilyn Strawberry Shortcake Apron is ONLY $10.75 (Retail $29.95). NOTE: Coupon Code does NOT work with example - this is a sale price.